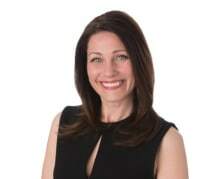 Mylene Landry brings a broad set of skills to her family law practice. "My clients need a strong advocate, analytical thinker and an empathetic counselor in one," explains Mylene. "Their legal issues are at once emotionally charged and often highly complex, and it's my job to ensure that their dignity is protected, their wishes respected, and their interests looked after." Drawing on over 21 years of experience in the field, Mylene assists clients with legal matters related to child custody, child support, parenting time, spousal maintenance, division of property, complex business valuations and many other issues.